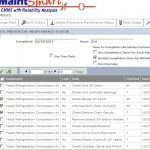 Use MaintSmart CMMS to create PM task lists and build a comprehensive preventive maintenance solution quickly. Login by either clicking the Red bypass login (MaintSmart DEMO) or user: "defadmin" and password: "1111"
Contact us for a personalized demonstration or any question. Video is 14:36. Make sure that screen saver is off or limited so that video is not interrupted. Scroll down for more instruction. One of the primary reasons businesses and organizations purchase a CMMS software system if for managing preventive maintenance (PMs). As such, building and maintaining PMs should be quick, intuitive and simple to maintain. Additionally, the resulting preventive maintenance data should also be useful for making determinations such as resource allocation, capital expenditures and scheduling. With MaintSmart, you can accomplish all of these goals. 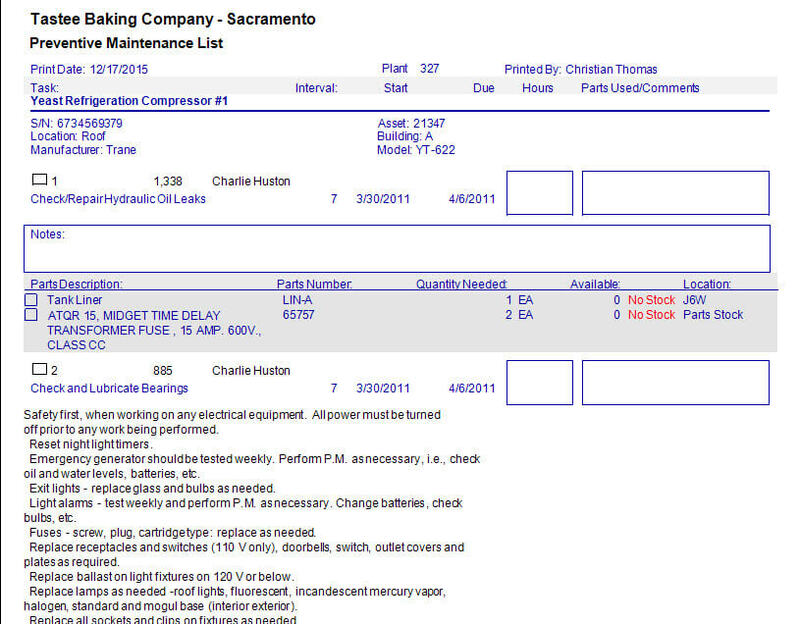 In this post, we will create PM task lists for a commercial baking operation. This same general procedure works well for any manufacturing operation. Best of all, name the equipment hierarchy to whatever fits your maintenance operation. Examples are schools, municipalities, hospitals and so on. Here is a summary of the steps taken to build our commercial bakery PM list from scratch. To begin with, create an equipment hierarchy. This document explains this in detail. For now, just think of an equipment hierarchy as a way to group equipment into logical geographical and/or function locations (or classifications). The equipment hierarchy is useful in locating, analyzing and reporting on groups of equipment. Next, add Equipment Groups. 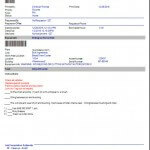 Equipment groups are yet another way to group equipment for the purpose of filtering, finding and reporting on multiple equipment items at one time. Equipment groups are classifications of equipment. Examples are “Conveyors”, “Ovens”, “Forklifts, etc. Task groups are just a simple way to group related tasks. Use this grouping for filtering, finding and reporting on the tasks contained by the task groups. 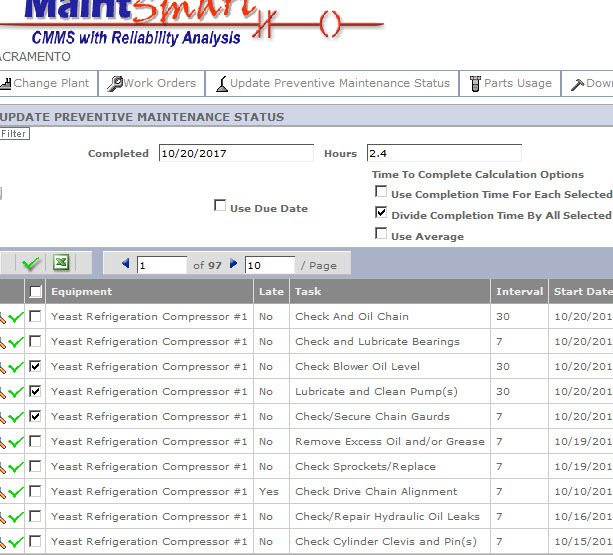 MaintSmart shares task descriptions between the preventive maintenance module and the work order module. Tasks are short descriptions of needed work. By keeping the text description of the task short, the software is able to analyze and report on the task itself. Additionally, detailed instructions (procedures) are linked to tasks if needed. This creates a comprehensive description of the required work. Detailed instructions are virtually unlimited in length. Additionally, save these instructions as file and reuse later. Build detailed instructions by either typing, copy/paste or drag/drop. 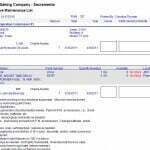 One common way to create these detailed procedures (instructions) is to copy online PM manuals for specific equipment directly into the CMMS detailed instructions files. This is fast and simple way that ensures OEM recommendations are followed. 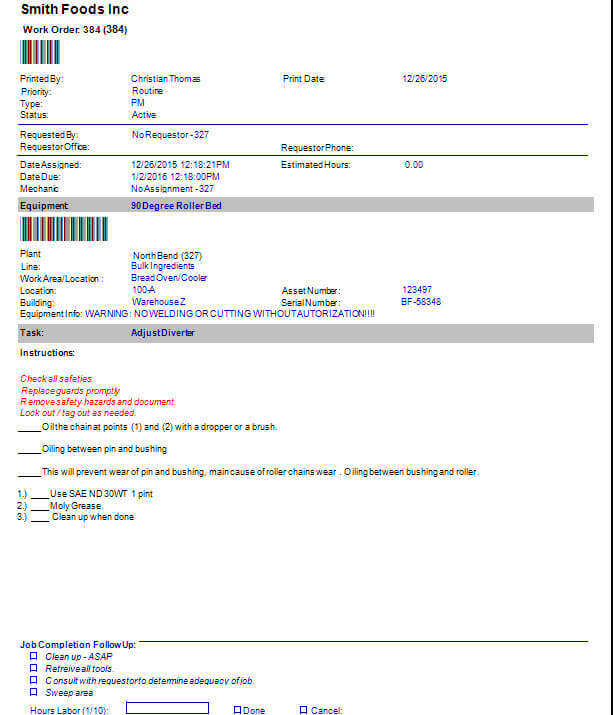 Creating a preventive maintenance task list with MaintSmart is not only fast and intuitive it also provides all the information and detail required to ensure well-maintained equipment. Use the above video along with the trial version of the CMMS to create PM task lists for your maintenance operation. Was the work done on time or was it late? How much labor (minutes/hours) was used in completing each PM task? Were spares used? Were spares automatically or manually used? What was the cost of spares? Were there other unrelated issues discovered when the PM was completed? When a PM is closed, it is electronically signed so you always know who closed it. Best of all, as a PM is closed it recycles itself automatically. This means that you only create PMs one time. Thereafter they recreate themselves. This is a huge time saving feature. This capability also adds consistency to your preventive maintenance program. This topic is covered in detail in our next post. Excellent information, very useful for the implementation of preventive maintenance. Antonio, thank you for your comments. I am glad that this video was useful to you. We plan a whole series of these. The next one will cover closing and updating PMs.